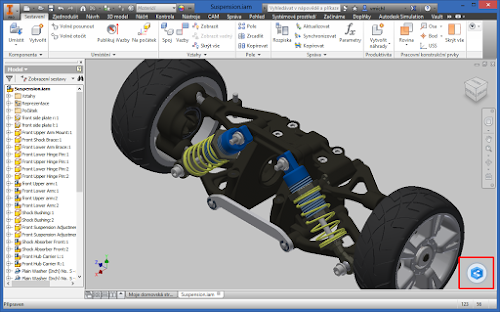 Only 6 weeks after the release of version R2 (Shape generator, ForceEffect, PCB), Autodesk released another "in-between" version of Inventor for customers with an active Maintenance or Desktop Subscription - Inventor 2016 R3. The "What's New" list is shorter this time but it nevertheless brings interesting functionality for those who design AEC and MEP products, and for those who want to easily share and review their Inventor designs online. 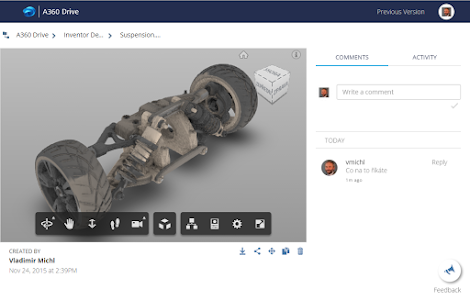 This is a publishing function bringing your simplified 3D model online, to the secured A360 cloud for simple sharing and reviewing. The function "Connected Design" is accessible through the blue translucent icon in the bottom right corner of the model window. Clicking on it displays the docked panel "Connected Design". Here you can invite your collaborators and other participants of the online discussion. All participants can interactively view your 3D design in a standard desktop web browser or even on their mobile devices (i.e. without any access to Inventor). They can access the assembly model tree, explode the model, add their comments - without having access to your Inventor source CAD data. Technically, the published model, so called "Design Share", is a file with the extension .collaboration - it is a lightweight database proxy image of the original model. All model comments are tracked and stored centrally, including the time record when the comment was received. 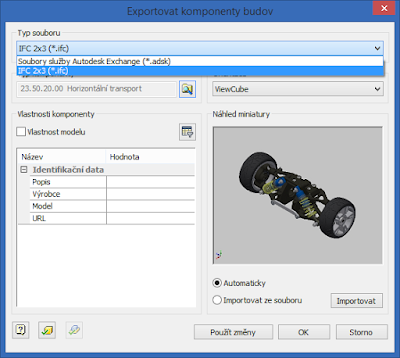 This function performs export of Inventor 3D models to the neutral AEC/BIM format IFC (Industry Foundation Classes), e.g. for Autodesk Revit or AutoCAD MEP (fabricated MEP parts). You can find it in the ribbon System environment > BIM Exchange > Manage > Export building components - in the dialog then switch from the default .ADSK file type to .IFC (IFC 2x3). 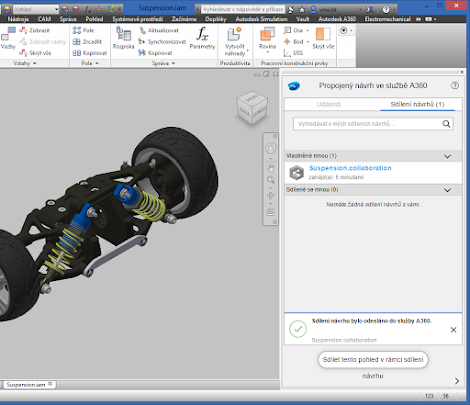 You can download the R3 update immediately from your Autodesk Account or through the Application Manager.